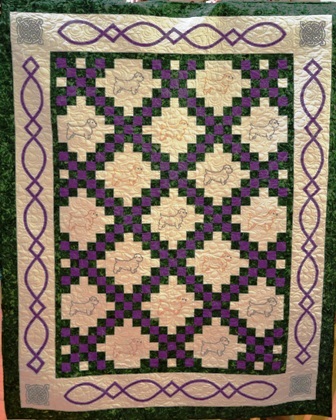 Fancy a piece of unique Glendom? 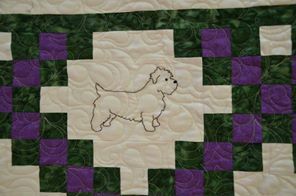 The quilt is being raffled in aid of funds for the Glen of Imaal Terrier Club of America and the draw will take place at the Dinner held during Montgomery weekend. Non Americans are more than welcome to join in-6 tickets for $10-via Paypal’s send money system. All tickets will be printed with the purchaser’s name and address and added to the ones mailed in. Further details can be had from Laura Trainor ltrainor@stny.rr.com .